LG appears to be the first manufacturer to skip the laptop market with Google’s Chrome OS completely, moving straight into the desktop arena with the newly introduced Chromebase. LG will show off the “affordable” desktop at CES in January, then it should hit the market shortly after that. For desktop specs, the Chromebase is running an Intel Celeron processor, 2GB of RAM, a 21.5″ Full HD IPS display (1920 x 1080), 16GB of storage, a 1.3MP built-in webcam, and a couple of accessories such a keyboard, mouse, and cable organizer. These are pretty standard specifications for a Chromebook, but then again, this isn’t a laptop. It’s supposed to be a full desktop experience. LG gives us plenty of specs, but didn’t touch on price. Any guesses from the crowd? $500? $400? 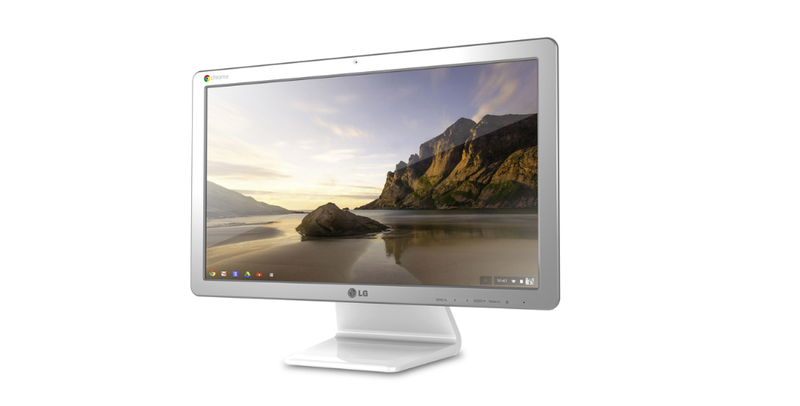 According to LG’s press release, we will have a chance to get our hands on the Chromebase at CES, so we will make sure to stop by the booth and check one out for you all.